sauteed mushroom and onion breakfast bowls. I am totally on a breakfast bowl kick! There are just so many potential combinations, all of which can be topped off with an over easy egg–which I’m convinced makes EVERYTHING better. 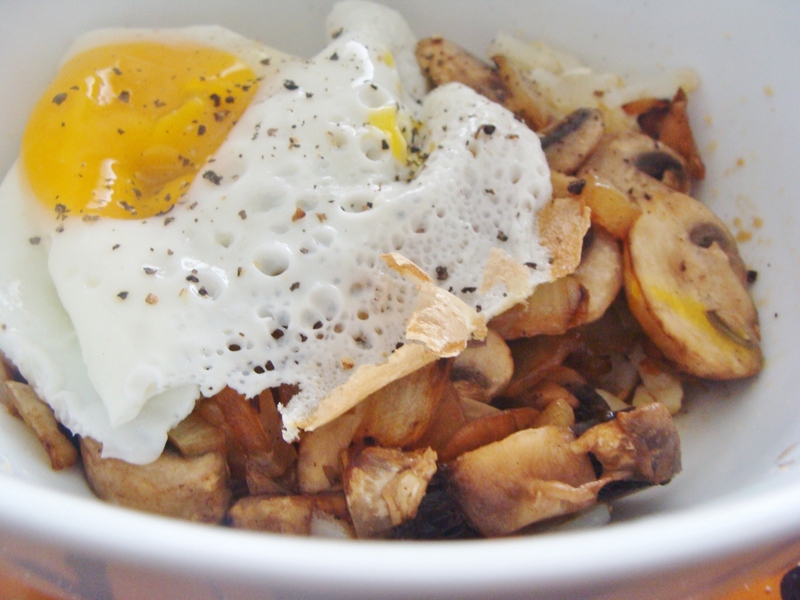 My latest concoction was pretty simple: sauteed mushrooms and onions, with hash brown potatoes. Can I also say that these bowls are just as tasty for a quick dinner? Heat a drizzle of olive oil on a skillet over medium heat. Add your onions. Cook 5-7 minutes, until onions begin to turn translucent. Add your mushrooms and continue cooking on medium heat until they begin to brown. Give everything a light sprinkling of sea salt and black pepper. While your onions and mushrooms are cooking, you can also be cooking your hash browns! Cook per package instructions. I usually doctor mine by adding some fresh minced garlic and Parmesan cheese. Mmm! After they are cooked to your liking, divide the hash browns into two bowls for serving. Add a heaping spoonful of the mushroom and onion mix to each bowl. Finally: Fry your eggs! They will cook up very quickly in one of your already hot skillets. Top each bowl with an egg & then dig in! All mixed up and glorious. « slow cooker bourbon chicken sandwiches with apple slaw. 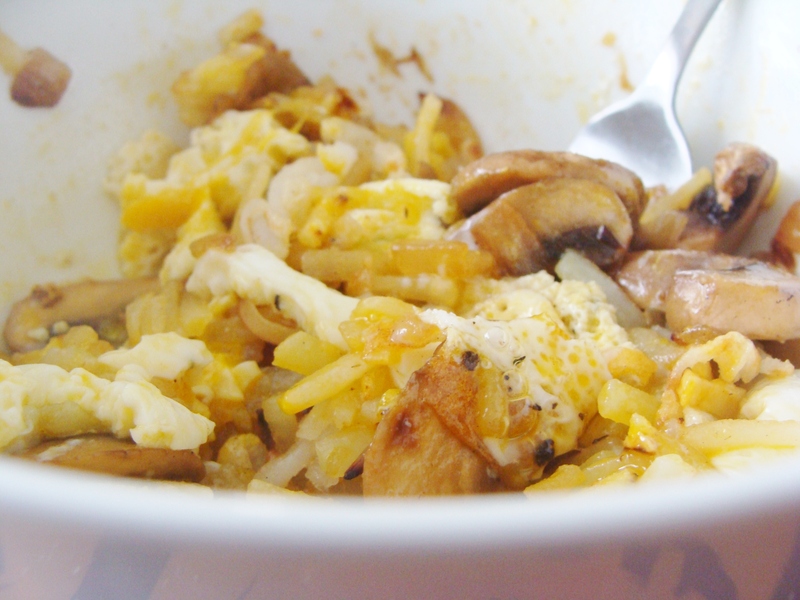 You are currently reading sauteed mushroom and onion breakfast bowls. at The Cheesy Kitchen.